Material: White Glossy LASER ONLY! 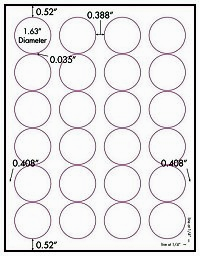 Glossy Round Labels for Laser Printers only! You will get spectacular images which can be applied to a variety items.